Available on Holland America’s Signature class ships, the Tamarind was by far my favorite dining experience on our 19 day voyage on the Holland America Eurodam. Creative Asian fusion cuisine served by knowledgeable staff members who are familiar with the food and take time to get to know you personally made out dinner in the Tamarind one of the highlights of our cruise! TIP: A fact that I did not realize right away is that lunch in the Tamarind is free! 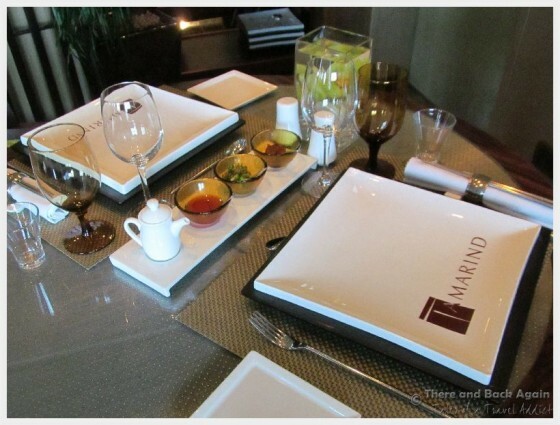 While dinner comes with a nominal upcharge, you can enjoy the terrific atmosphere of the Tamarind for lunch gratuit. Lunch in the Tamarind consisted of soup, salad, dumplings, sushi and a spring roll, and was served with the same careful attention to detail that made our dinner experience so special. Available on all Holland America cruise ships, the Pinnacle Grill is Holland America’s upscale steak, fish and chop house. Love fillet mignon but can’t get enough of it in the main dining room? Celebrating a special occasion? The Pinnacle Grill is where you want to be! Tea time is really one of my favorite little indulgences on a cruise. Holland America takes tea time to a whole new level of luxury. A regular, daily casual tea is offered each afternoon and the treats and goodies here are nothing to scoff at. Once during each cruise, you will also have the opportunity to experience the Royal Dutch High Tea and a special Indonesian tea service, highlighting Indonesian teas and culture (this special service is in recognition of the large number of Indonesian staff on the ships). Both are experiences to be savored and certainly not to be missed! A part of the Lido buffet yet apart from it, the Canaletto is a casual Italian dining option that is a separate section of the Lido buffet. Waiters dressed like gondola drivers in Venice serve Italian fare and a nice selection of wines in a casual atmosphere. What I really like about it is that it gives you an option for lunch or dinner when you are looking for a little something different. There is no charge for eating in the Canaletto for lunch or dinner, but reservations are recommended. 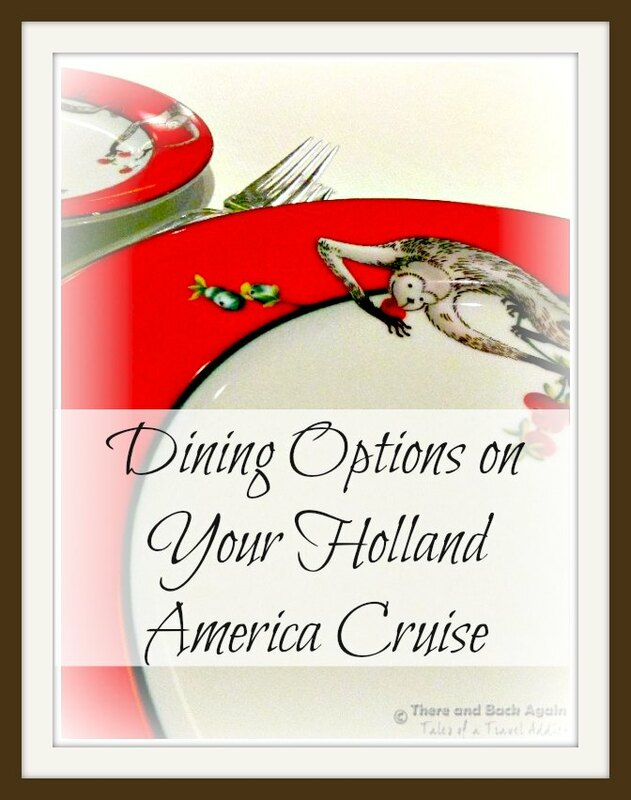 While the trend in many modern cruise lines is more specialty restaurants while lowering the level of service and cruising offered in the main dining room, Holland America seems to be enhancing their main dining room service! 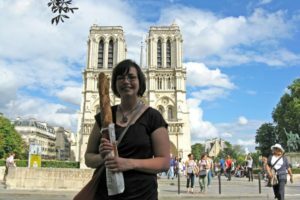 We ate at a fixed dining time in the main dining room for the majority of evenings on our 19 day Holland America cruise and we looked forward to dinner every single night. The menus were innovative and varied, and the food was well prepared, served hot and well seasoned. Our dining room stewards were absolutely wonderful. What else can I say! Magnifique! 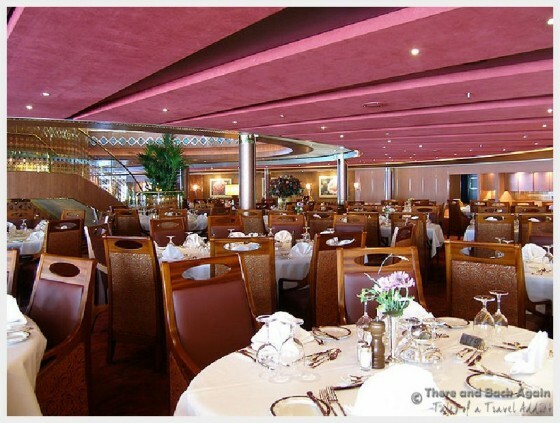 While the Main Dining room experience on many cruise ships is being downgraded, the Main Dining room on Holland America is still something to savor. Room service is free on Holland America 24 hours a day, and we did take advantage of it. It was really convenient for mornings of days when we would be in port and didn’t have time to get up to the Lido buffet for breakfast. 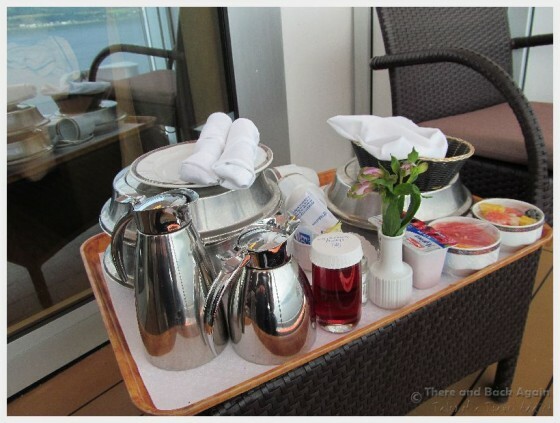 It was delivered hot and fresh and it was HEAVEN to eat breakfast on the balcony as we were cruising past the fjords in Norway. Being budget conscious traveler, we almost never order room service in hotels, so being able to on the cruise without an additional fee felt like real luxury. Last but certainly no where near least, we come to the Lido Buffet. 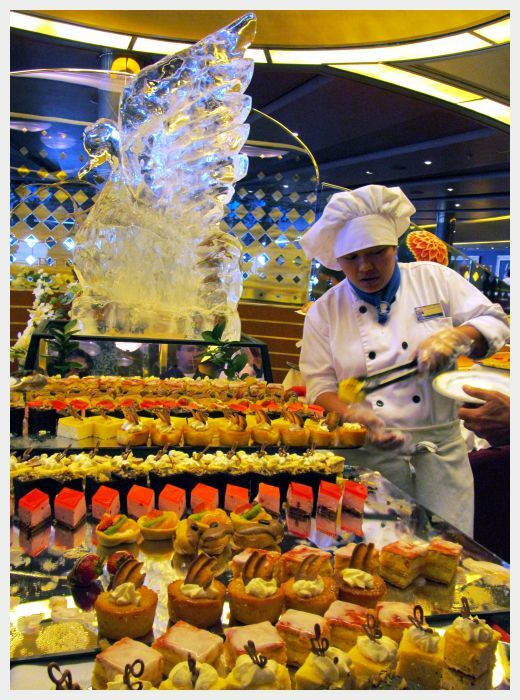 Buffets on cruise ships have traditionally gotten a bad rap compared to other dining options on the ship. 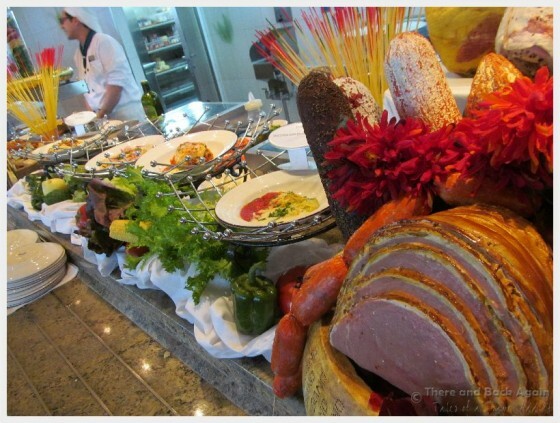 Many cruise buffets feature bland, lukewarm food that never changes during your cruise. This is not the case aboard a Holland America ship. The food that we ate at the buffet was consistently hot and well seasoned, and there was an incredible variety to choose from that changed on a daily basis. Holland America’s Lido Buffet is built around stations where chefs create made to order dishes for you right before your eyes! You can choose your own ingredients for a panini sandwich at lunch. 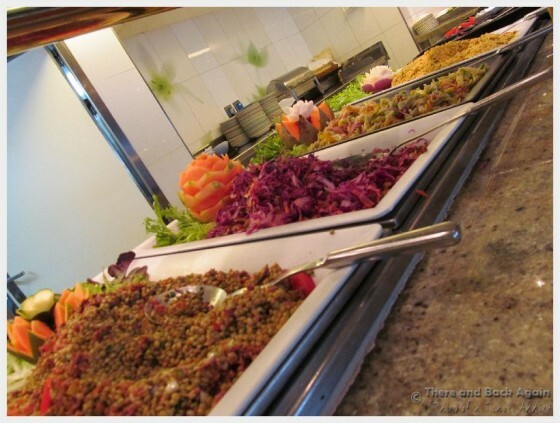 There is a section of the buffet featuring a different international cuisine each day, as well as an impressive salad bar with a good selection of fresh cut veggies and topping for lettuce salad lovers, as well as a creative selection of other types of cold salads. 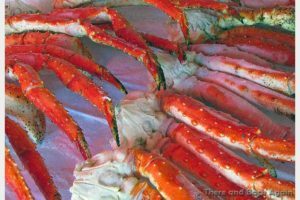 A special tip for you-for dinner time, the Lido Buffet on Holland America ships serves the same menu items that are being served in the main dining room. This is great if you just don’t feel like dressing up for dinner. As if dinner in the main dining room hadn’t been enough, Holland America decided to step up their main dining room game and offer us the Master Chef dinner. For the uninitiated, this happens on one night each cruise and it features a special multi-course international menu and a special performance by the dining room staff. For me, the special menu was the highlight of the meal. The menu was so extensive that I had to sit and carefully study it…some of table mates had to take notes. The menu consists of four separate mini menus, each from a different part of the world. You can order all off of one menu, or mix and match interesting foods from all around the world. What amazes me about all of this is that despite the extensive menu of international specialties, the food was still served with the high level of quality and service that we had come to expect. Kudos to Holland America for bringing this innovative spin on dinner in the main dining room to their ships! We really enjoyed it. Offered only one night on each cruise in the Pinnacle Dining Room, an Evening at Le Cirque is a feast of color for your eyes and a feast of unique flavors for your taste buds. 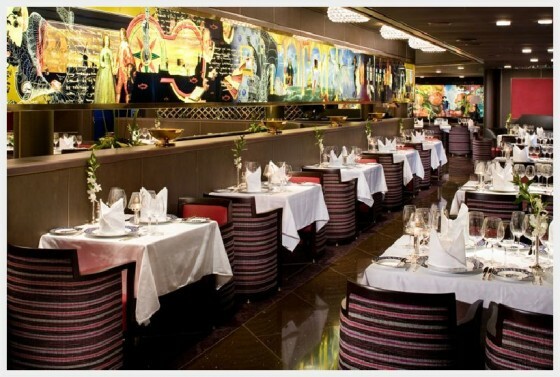 An Evening at Le Cirque brings the flavors of the acclaimed Le Cirque Restaurant to the high seas! The Pinnacle Grill is transformed for the occasion with whimsical table settings and decor that help set the scene for a delightful meal. A tip for your evening: You can choose to add a wine pairing to your Le Cirque meal for $20. You get a glass of champagne, a glass of white and a glass of red, all carefully chosen to compliment your meal. An evening at Le Cirque is something that you should plan on enjoying on your next Holland America cruise (book early, as it only happens one time per cruise, space fills up quickly!). 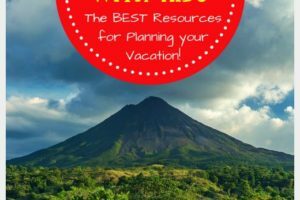 Planning a Family Trip to Costa Rica: The Best Resources from Real Families Who Have Been There! This is bringing back such wonderful memories of our last cruise and all the wonderful food we enjoyed. We swore we wouldn’t be the type of people who came back from a cruise and went on and on about the food, but we couldn’t help it! I think it’s about time to cruise again.